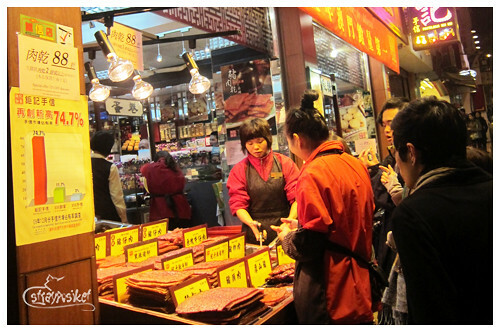 Feb 18, 2011 — Our side trip to Macau won't be complete without taking home some of their best delicacies. From Grand Lisboa, we went straight to Rua de Sao Paulo where most of the shops selling souvenirs are located. 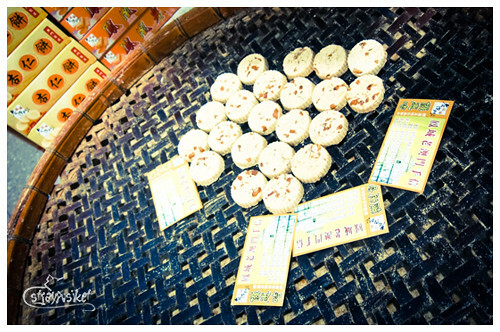 The most famous bakery in Macau is the Pasteleria Koi Kei. It has 8 branches in Macau Peninsula alone, and among these 8, 3 of them are located at Rua de Sao Paulo. 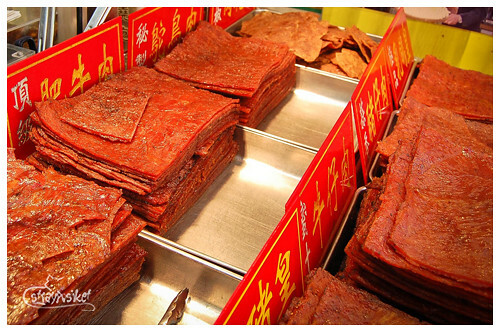 They are famous for their egg tarts, jerky, almond cookies, etc. Aside from Pasteleria Koi Kei, there are other shops selling same products within this small alley so the competition here is very tight. All of the sellers offer free samples of their products. We heard some of the Chinese sellers telling us, "Ate eto baboy, eto manok. Mura lang".We haven't eaten anything that day and with all the free samples being offered to us, we easily gave in. Aside from the jerkies, we also sample other products like the almond cookies, egg rolls, etc. We hopped from one store to another and sampled every product they have. We're like little kids opening each container of candies and biscuits. Ligster and I took turns in asking for some egg rolls from the sales lady. think I have eaten a total of 5 egg rolls. Haha! After stuffing ourselves with free food, it was time to pick our pasalubongs. We got some beef and pork jerkies, almond cookies and egg rolls. We paid for our items and headed back to the hotel to get our things. On our way to the hotel, we stopped by the hotpot store for a quick lunch. We ordered the same thing we had the previous night. As soon as we finished eating, we picked up our things at the concierge and hopped on the hotel shuttle to the ferry terminal for our trip back to Hong Kong. yeah. the black pepper is my fave!